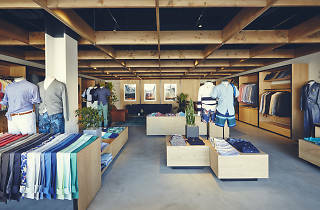 Shopping, Menswear Fairfax/Beverly/La Brea/Third St.
Online retailer for men, Bonobos, has set up its first LA Guideshop. 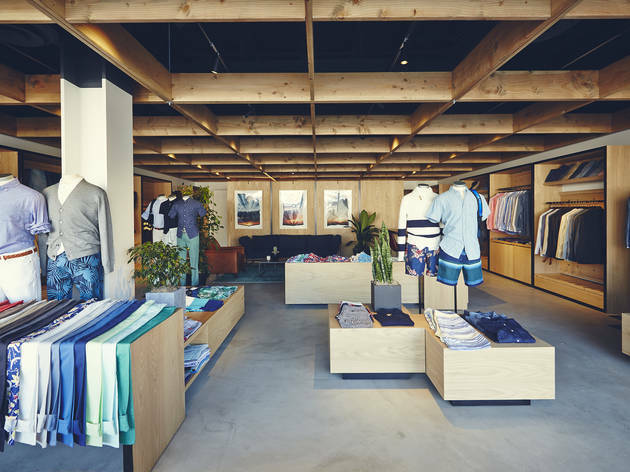 The 1,500 square-foot store brings internet shopping to life, giving its fans a chance to physically browse, feel, touch, see and—most importantly—try-on clothing, shoes and accessories. To get in, you have to make a one-on-one appointment with a "guide" who will personally style you. The teakwood-covered masculine shop includes a SELFY (yes, we know... #selfie) full-length mirror—so, when you're unsure if that blazer makes you look dapper, you can snap a pic in the fitting room and ask your followers from the handy iPad-mini. Once you have a list of your favorite items and sizes, the guide will help you purchase them online to be delivered directly to your door. Time Out Los Angeles readers can receive 20% off their order by July 21st—mention "Time Out LA" in the notes section when making an appointment online or as walk-ins at the Guideshop.